The Beagle was in Galapagos for five weeks. About one-quarter of Darwin’s notes and field book are dedicated to this location that most amazed him. During his time on the islands, Darwin was not aware of the importance the archipelago had as evidence for his theory, and he still had no clue of the information he was gathering on each excursion. 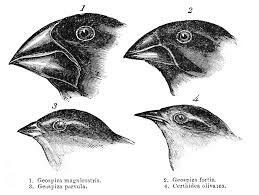 He collected lots of reptiles, plants, and birds among which were the famous Darwin finches. “Considering the small size of these islands, we feel the more astonished at the number of their aboriginal beings, and at their confined range… Hence, both in space and time, we seem to be brought somewhere near to that great fact, that mystery of mysteries –the appearance of the new beings on this earth.” (Darwin, 1845). San Cristobal Island was the first island Charles Darwin visited arriving to the Galapagos on September 16th, 1835. The Beagle anchored in a calm bay on the south of the island, near the actual capital of the Galapagos. The Beagle spent eight days surveying the coast. Darwin landed five times pushed by his interest on the volcanic and cratered island. He studied carefully the lava flows and theorized about its formation. His first impression of the dry coast he saw was of a deserted and isolated place. He did not find the tropical richness he expected, instead he encountered desert plants, almost all in flower, and some reptiles that he pointed on his notes. In this island he had the chance to collect the first specie that later on would be the base and foundation of his Theory of Evolution, the San Cristobal Mockingbird. Floreana was the second island explored by the Beagle expedition. Here Darwin had three days to collect species and the second bird to lead him to important conclusions in the future, the Floreana Mockingbird. He realized the difference in between the previous specimen found in San Cristobal, and started to pay more attention to this specie. Later he would discover the four species to be found in the archipelago and understand a pattern of evolution due to the adaptation differences from each other according to the environmental features of each island. In this island, Darwin also met by chance an English Vice Governor who gave him important information remarking the difference and variations in the shapes of the shells of tortoise in each island. Isabela was the third island to arrive in his voyage on September 29th, 1835. The trip around the island and through the channel in between Fernandina and Isabela was noted on his field book. Darwin described the island as the most deserted and volcanically active. When sailing next to it, he observed the lava flows and the smoke coming out from the craters. The Beagle decided to anchor in a place named Tagus Cove because of the easy water bay this place forms. Darwin disembarqued on October 1st and explored the volcanic terrain. Here he found the land of iguanas, both marine and terrestrial that to him were ancient creatures that he describes more in Santiago visit. After Isabela, The boat sailed around Pinta, Genovesa and Marchena, offering Darwin the chance to admire the different formations. Santiago was the last island were Darwin disembarqued on October 8th. This is the island where Darwin stayed the longest, by this time, he knew already that the islands were something bigger and more important than they seemed when he first arrived. On his visit he expend 2 weeks and walked the whole island with some crew members that helped him carrying the specimens he was collecting. Here he first noticed the difference in between the tortoises from different islands with his own eyes; he was impressed by the amount of tortoises, which had different shapes and sizes.He wrote a big deal of characteristics of their behavior and also had the chance to try their meat in soup. In this island Darwin noticed that most species were similar but different from other in the other islands, giving enough evidence to theorize that species change and this is related to their feeding and surroundings. He collected finches that helped him to understand this resolution. These animals are now considered the world’s fastest evolving birds because of the adaptations they rapidly developed to cope with their needs in such a changing environment.Darwin left the Galapagos on October 20th, 1835. 1.- The Galapagos Islands are very young geologically speaking. The Galapagos come from a hotspot located on the seabed in the middle of the Pacific Ocean and so, it was created by consecutive volcanic eruptions and lifting of the layers. Arrivals of fauna and flora had the chance to establish and adapt, or not, little by little. The theory states that foreign life came from far away, from the south pacific, the Caribbean, and north America. Almost all mammals failed to complete the journey, reptiles and birds where the most successful to populate after their arrival to the islands, probably in floating platforms formed in the river basins and coasts. 2.- On the other hand, the islands are strongly influenced by marine currents. Despite being located through the Equatorial line, cold ocean currents coming from the south pole and the west create very different environmental conditions and upwelling. These facts have created special and very different conditions to the ones the species came from. The great volcanic activity, the water amazing productivity and variability, and the extreme isolation from any other location pushed the species to change in very specific directions, adapting to this extreme conditions until today. This process happened rapidly, speaking in terms of biology and evolution due to the absence of resources, which accelerated the process of adaptation of the ones who survived. Therefore, the speed that the species evolution process had in this archipelago and the amount of living evidence to be found is why they are known today as “The Living Laboratory of Evolution”. In fact, the Galapagos is the only place where these processes are to be witnessed and evidenced as evolution. This gives this location its fame. This is where Charles Darwin was inspired to draw up his theory of evolution and the origin of species. The process these species went through is the one known as Natural Selection, the path by which the species change thru time becoming better adapted to the environment and conditions. In our times, the Galapagos Islands remain one of the most unique, scientifically important, and biologically prominent corners of Earth. This combination of both physical and biological factors has been studied for many scientists and still today cause interest and controversy. 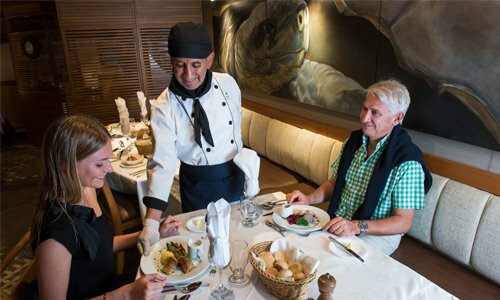 The Galapagos are an interesting place for ecologists and biologists because, in limited and small areas like the islands, it is easier to study and understand relationships and dynamics among the populations of species. Charles Darwin was 22 years old when he visited the Galapagos Islands on September 1835. An amateur geologist and had a very interesting curiosity on beetles. His social upbringing granted him a comfortable life and finally the chance of traveling with Captain Fitzroy, aboard the HMS Beagle. The Beagle was to travel the world for five years in search of geographical, botanical and military data. Darwin had a good background in sciences, as he was a protégé of Henslow, the famous Botanist. He attended medical school in Edinburgh, Scotland, the Athens of the North and later, forced by his father, he studied Divinity in Cambridge. The most outstanding feature of the trip was Darwin’s seasickness. Overpowering his great scientific curiosity, it was the desperate need to be away from the Beagle, which drove Darwin to spend on land three out of the journey’s five years. He would always be the first to disembark and the very last to get back on board. This allowed Darwin to really get to know the geology, fauna and flora and all other aspects of each coast and location the Beagle reached, including the Galapagos Islands. Darwin was a keen Naturalist. He noticed and described about every single detail of the rocks, plants and animals he saw. He hunted, purchased, stuffed and sent back to England many pounds of samples, including fossil rocks and letters to his sisters. By the end of the trip, in 1836, he had written hundreds of pages with ideas and data. His head was so full of it, that it would take him a quarter of a century to put them together. On his return to England, Darwin engaged into publishing his records and thoughts. What would not see the light was a crazy idea that he only shared privately with his mentors and scientific friends. Not until 1858. The Beagle’s voyage lasted almost five years, starting on December 27th, 1831 from Plymouth bay. Captain Fitzroy on command of the ship had offered Darwin the opportunity to travel in the boat collecting scientific information and species. Most of the specimens he first collected were marine invertebrates and plankton that he picked from the boat. The journey was an educative and scientific experience for Darwin, he had started his studies on Geology and influenced by thoughts from Lyell and others, he started to theorize about all the landscapes and formations he encountered. The first mission of Captain Fitzroy, when he was 23 years old, was to plot charts of the end tip of South America (his charts of the Galapagos were in use until World War II). The second, to measure certain anomalies in the Earth’s magnetic field in those areas, already noticed in his first trip. He transported 23 samples of the newly invented chronometer, an acquisition of the Navy that had the aim of accurately measuring Longitude. The first location visited was the occidental side of Africa, the archipelago of Cape Verde, there he started his first observations on beaches formation however this visited most shocked him by the slave trade on going on the archipelago. After this, the boat arrived to Brazil, where Darwin had the chance to collect and admire species from the Amazon tropical forest. In Argentina, Bahia Blanca, he explored big extinct mammals fossils and seashells that lead him to his first endeavor about the mutability of species. All the evidence he found on his journey was sent back to England to be better studied by experts on each area. The criteria used to analyze and collect info were his tremendous curiosity. He would also observe and examine the human populations and how small differences in the environment would influence on their cultural and social activities. In Chile Darwin witnessed a powerful earthquake that offered him the chance to see the uplifting of the layers. This, together with more marine evidence he found in the mountains of Peru, lead him to understand that geological movement and uplifting, would result in sinking islands and formation of coral reefs. When Charles Darwin arrived to the Galapagos, he first focused on analyzing and trying to find the geological origin of the archipelago; he didn’t notice yet that the species he would find would clue him to a greater discovery. In Australia and the Cocos Islands, the extreme differences he noticed in between different species, together with the tortoise shells of different shapes, suggested a different theory of the stability and variability of the species, later to be discussed with experts back in England. Most extinct species found in his journey were directly linked to living species of South America, and them, to some of the subspecies of the Galapagos. The journey ended on October 2nd, 1836 in Falmouth. Theory before Darwin stated that all the species were created in the beginning of the times, all perfect organisms living in harmony in paradise, and no change would occur to any of these beings. God had created a perfect equilibrium for nature to exist. It was a world of stable populations and immutable nature. However, many facts, studied in the beginning by philosophers and then scientists, suggested something different. The curiosity of man to understand and interpret the world has always been the engine for all human discoveries and evolution. In 1809, Charles Darwin’s year of birth, a French Naturalist, Jean-Baptiste Lamarck, theorized about the evolution of species on his work of The Inheritance of Acquired Characters or Soft Inheritance. This concept stated that species would pass their acquired improved characters to their descendants and so, modify their nature throughout every generation. His theory however wasn’t accurate in the sense that characteristics acquired in a generation’s life are not passed on the genetic code to the descendants. His beliefs were more a result of the wisdom of that time. His contribution, nevertheless, was to mention by first time the adaptation process that species go through by the use and disuse of characteristics. Alfred Russell Wallace, a British naturalist, theorized and extracted conclusions of every animal he saw. On his work he paid especial attention to isolated populations due to geography, so he did most of his research on the Malay Archipelago. As a castaway he also had the chance to observe isolated populations in islands and theorized about all his conclusions. In 1858, he finished a scientific paper that he humbly sent to a senior and world respected Naturalist: Charles Darwin. This paper contained the mechanism by which the evolution of living species can be explained, the tendency of species to form varieties, and the perpetuation of varieties and species by natural means of selection. Wallace developed then an original branch of evolution, which is Island Evolution. Certain animals and plants are present in some areas of the world, but not in others. Some of them are unique to a particular place (we call them endemic to that place) and have no chance to survive anywhere else. Such an irregular distribution of species became a very interesting subject, and Wallace was the one to make it into a science: Biogeography. When Charles Darwin received Wallace’s work, he found himself in the position of publishing his junior’s ideas or publishing his own ideas, which came to be almost the same with slight variations on the perspective. Most of Darwin’s supporters got a bit upset when they heard about this, but Wallace was the one ready to publish his work, and got all the credit for the Theory of Evolution, which is considered a masterpiece of our culture. On the other hand, Darwin was just too shy to reveal his ideas; but finally, supported by some colleagues, he wrote an abstract of his secret ideas that had a lot of similarities with the work he had in his hands for months. Many say that Darwin had many more samples and evidence from his journeys than Wallace, so he deserves the tittle of the man who changed the world’s view. Thomas Henry Huxley was an English biologist-anatomist, part of the British Scientific Community, philosopher and a passionate follower of Darwin’s theory. He was one of the first people who found Darwin’s revelations difficult to believe, and even though it went against his religious formation, he ended up becoming one of his greatest devotees, who was even called Darwin’s Bulldog. He was a man who would trust what he would see, but his philosophy wouldn’t completely make up his mind. He would face many groups and even the Bishop, Samuel Wilberforce, supported what everyone considered the anti-biblical beliefs of evolutionary naturalism. Darwin called him “my good and admirable agent for the promulgation of damnable heresies”. The insinuation that man was not created, but was something like a developed ape, brought a big deal of controversy. His contribution to history could be understood as the link between the conservative religious beliefs and the scientific evolutionary ideas. Charles Lyell was a British geologist and lawyer that developed his most known theory of uniformitarianism, and revealed the idea that the earth was older than the biblical beliefs, giving names to the geological eras. He strongly influenced Darwin with the concept that constantly geological variations occur with small slight changes over a large period of time. This information was the link that Darwin was missing in some of the evolutionary processes he was trying to understand. Lyell supported Darwin’s theory on the publication of his work in 1858 even though it went against his religious point of view. After the Theory of Evolution saw light, Lyell’s theory was better accepted and even he published information revealing man had existed on earth long time ago. Thomas Malthus was an English cleric and economist. The concepts exposed on his work “An Essay to the Principle of Population” (1798) suggested that population growth and success was related to the availability of resources. He stated that population growth would always overpower the food supply growth, resulting in competition and struggle for survival. Lyell thought this was a mechanism used by God to control the population and encourage man to work. Darwin saw a different outcome from this dynamic, adding the fact that the environmental conditions would let some (the fittest), but not all organisms survive.